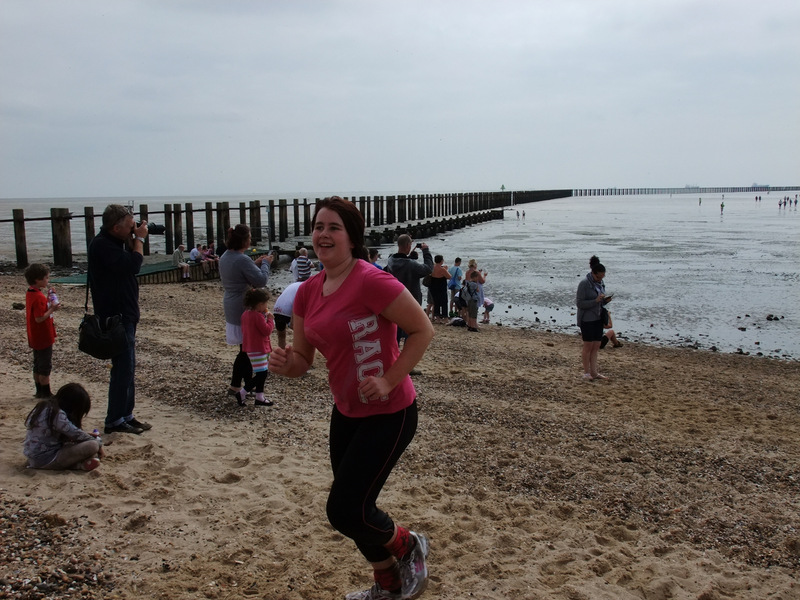 Yesterday I took part in the 2.5 mile Mucky Mud Run in aid of Havens Hospices at Shoebury East Beach. Also taking part were my daughter Liz and our neighbor Sarah. 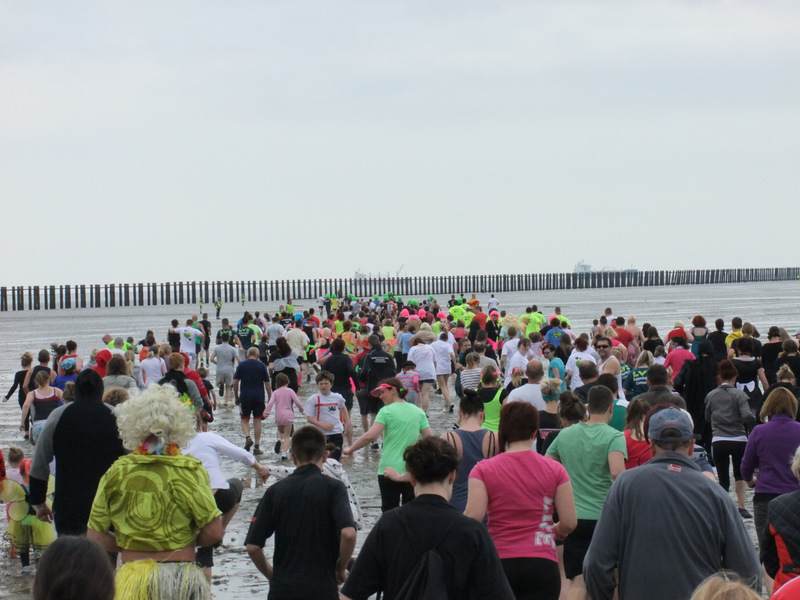 I believe 350 people had signed up to run the 1.25 miles out to the end of the historic boom and back. I left the girls to amble and made the best of running a decent time on rippled sand, through mud and through foot deep water as the tide hadn’t gone out far enough! We got there early and sample the party atmosphere. 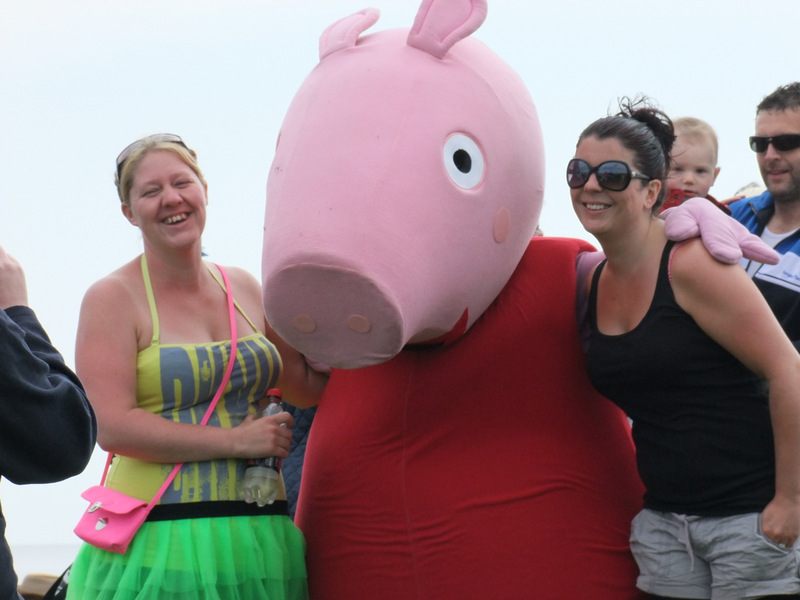 There were bouncy castles and rides and hotdogs & burgers, and even a steel drum band playing. 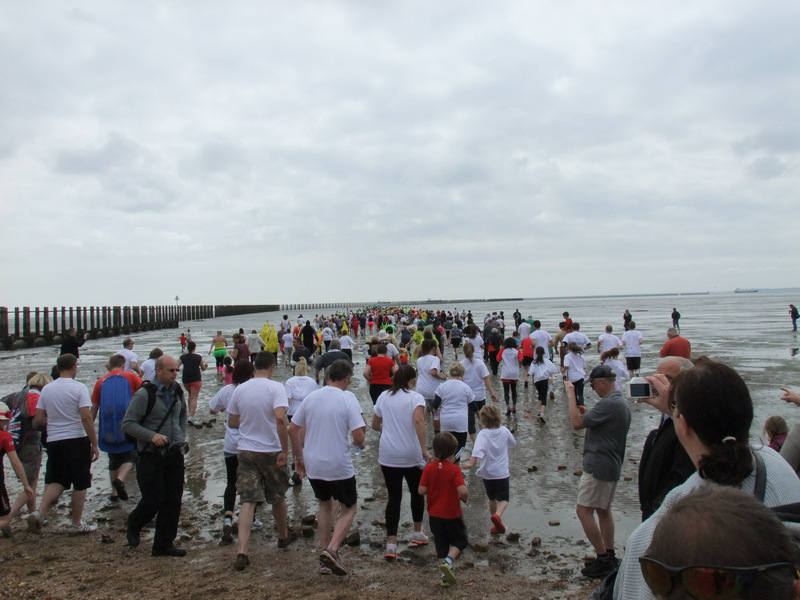 The weather was good – if a little breezy for the return leg of the run – and much better than had been forecast. I made a point of seeking out Angela Clements aka @HavensAngela as we have talked a fair bit via twitter and I wanted to say boo. 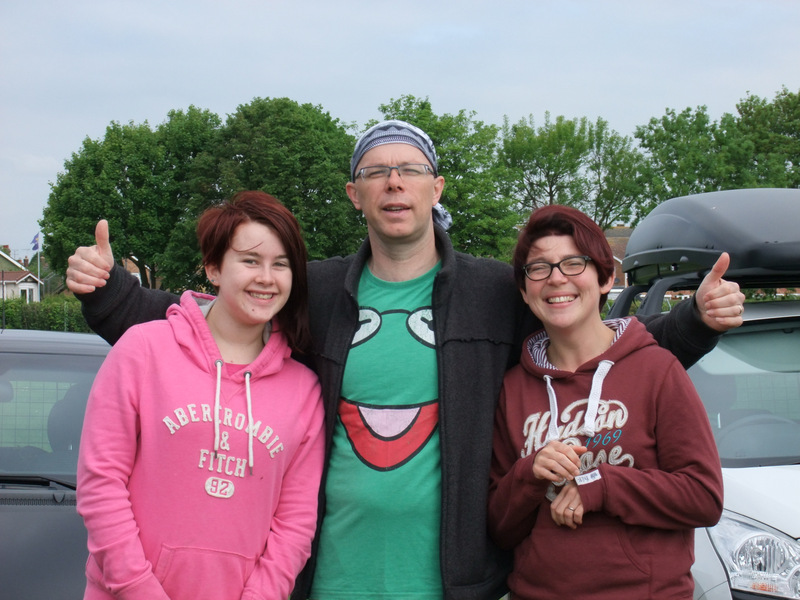 She snapped me by the funfair rides before the race and again as I crossed the line – for which I am very grateful. 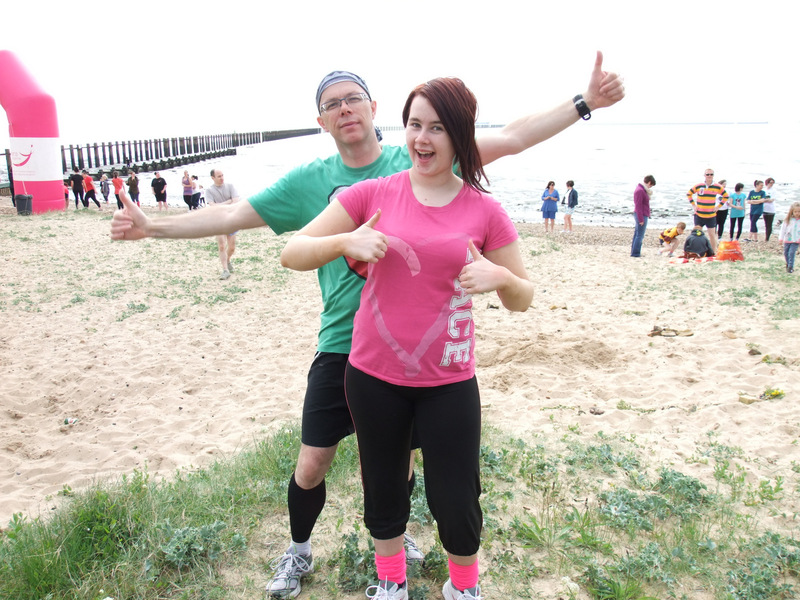 A great many of those taking part went the extra mile and dressed up for the occasion. 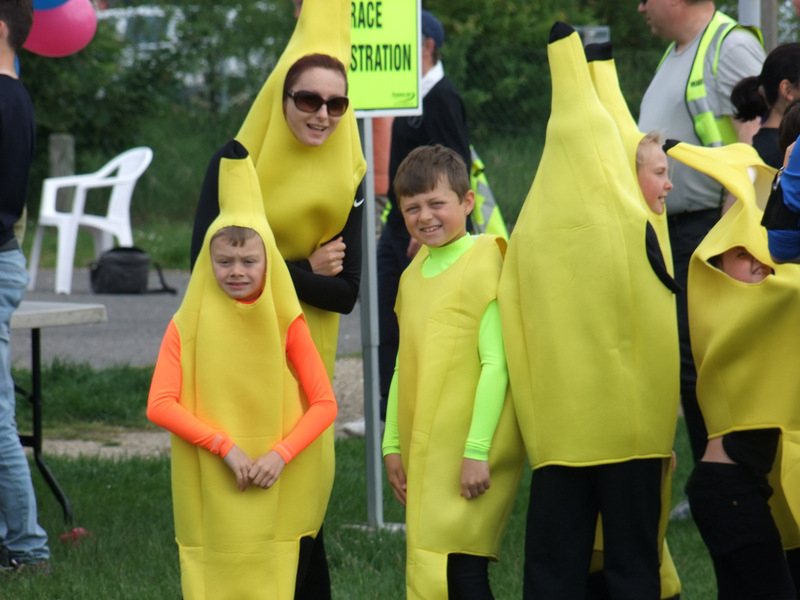 There was a large group of bananas, an even larger group from sponsors Tangent International along with groups in wigs, skirts, dresses, morth suits and the obligatory mankini. Batman and Hulk Hogan were even spotted. 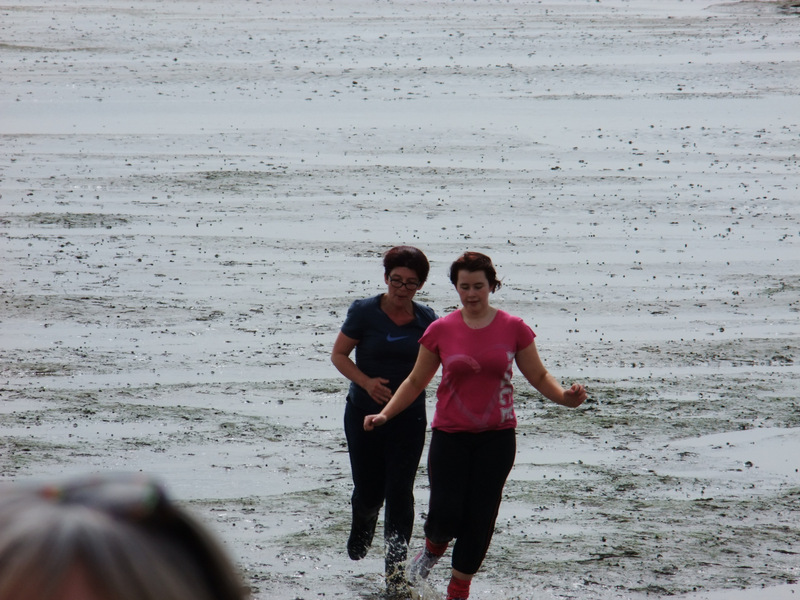 The race started about 20 mins late due to the tide being held up by the strong breeze but once the marshals were in place we all got going. Out was fine mostly on rippled sand – but hard on the ankles. The last quarter mile was in foot deep water which was challenging especially went you went down into a submerged channel. 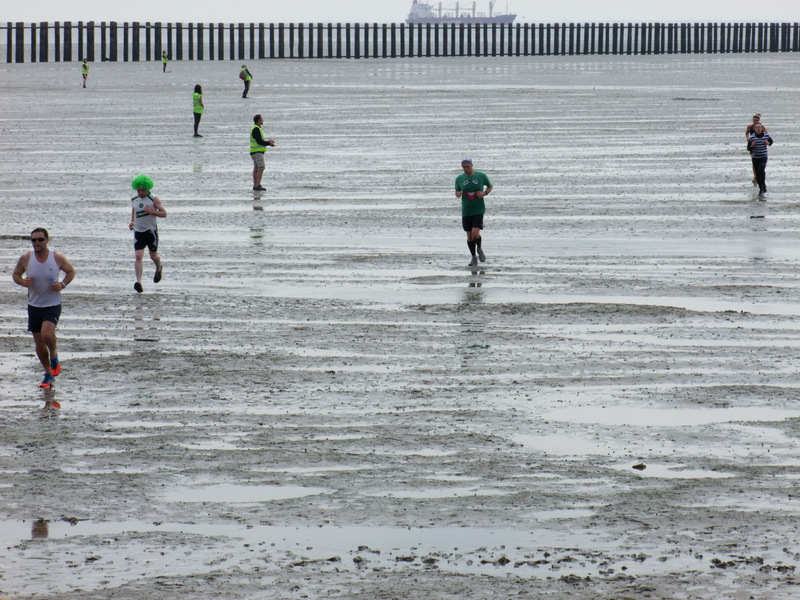 Back was the same – but with a strong headwind and a climb up the beach to the finish line. I pushed harder than maybe I ought to have done (you know how it is) and came back in about 15th place (not that it was a race) in a time of 25 mins 32 secs which I was pleased with considering. My PB on the road for 3 miles is 24 mins. I’m glad I/we took part this year (first year I’ve done it) as they announced that next year it wouldn’t be held in the same place for unstated reasons. Whatever and wherever it is next year I would encourage you to take part and help raise funds for this very worthwhile cause. 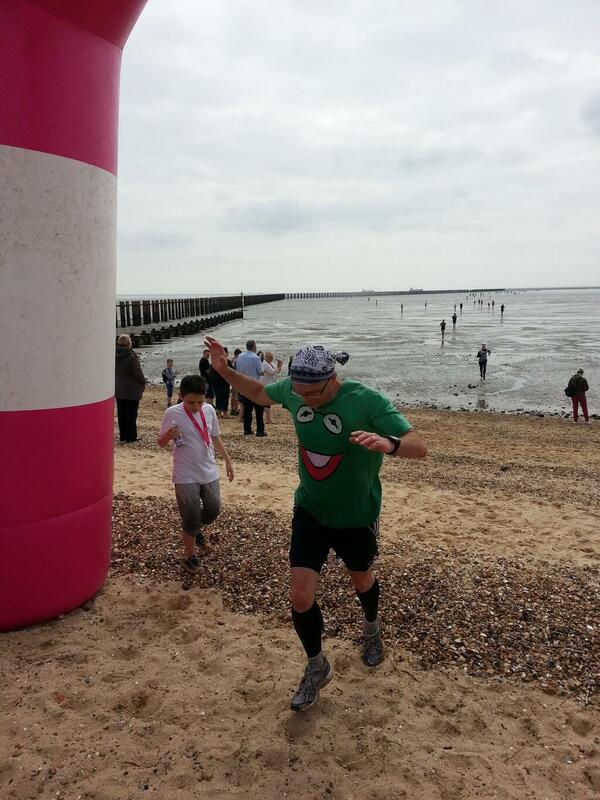 Talking of which – if you wish to donate a small amount – anything really – to Havens in support of my efforts then you can do so on my just giving page here or by texting NOYN47 £5 (or whatever amount you like) to 70070. Thanks to those who have already and subsequently do sponsor me. And we’re over the line!